We’ve already seen a good amount of fall/winter footwear releases this summer, now we add the Nike Shield Collection to the mix. Made to outlast extreme weather conditions, the latest collection includes four models, all of which feature the unique DWR (Durable Water Repellent) material. 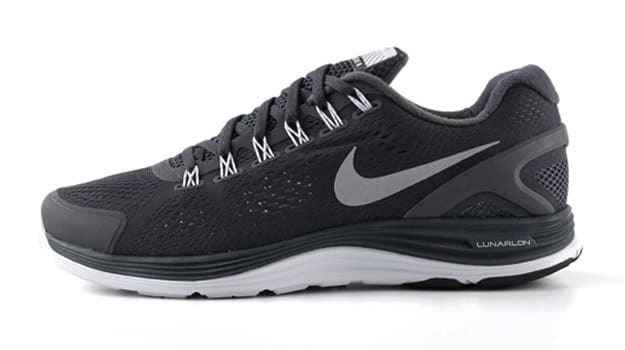 The shoes, including the Lunarglide+ 4 Shield, Free Run+ 3 Shield, Air Pegasus+ 29 Shield, and the Lunarspeed Lite+ Shield, are designed to keep you keep you both dry and safe. Combining reflective materials to increase visibility in dark situations, the Shield Collection is sure to have you running with piece of mind throughout the holiday season. Expect the collection to hit stores in October. Until then, follow back for a closer look at the performance specs of each shoe.